Year 2000: I created TROUBLE IN STORE, a board game for the late Sir Norman Wisdom. Published by Mambi Games, owned by Coronation Street actor BILL ROCHE. Uri Gellar also promoted his box game. Picture was taken at the Toy Fair in Olympia London. 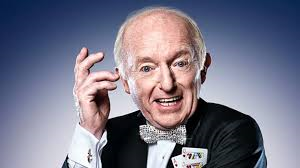 1999 I wrote my first book with British magician and TV performer Paul Daniels titled TODAY'S CON GAMES. (Out of print). 1996 to 1998: THE PEOPLE'S SHOW was my radio show staring a long list of celebrities. Here I broadcast with Sir Harry Secombe, Paul Daniels, Jimmy Jones and Sir Norman Wisdom. 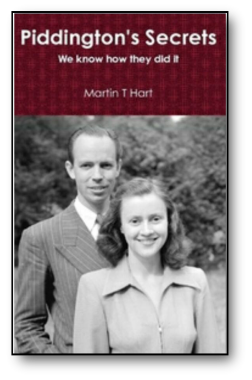 2015: PIDDINGTON'S SECRETS reveals the methods invented by the famous 1949 telepathy act; THE PIDDINGTONS.